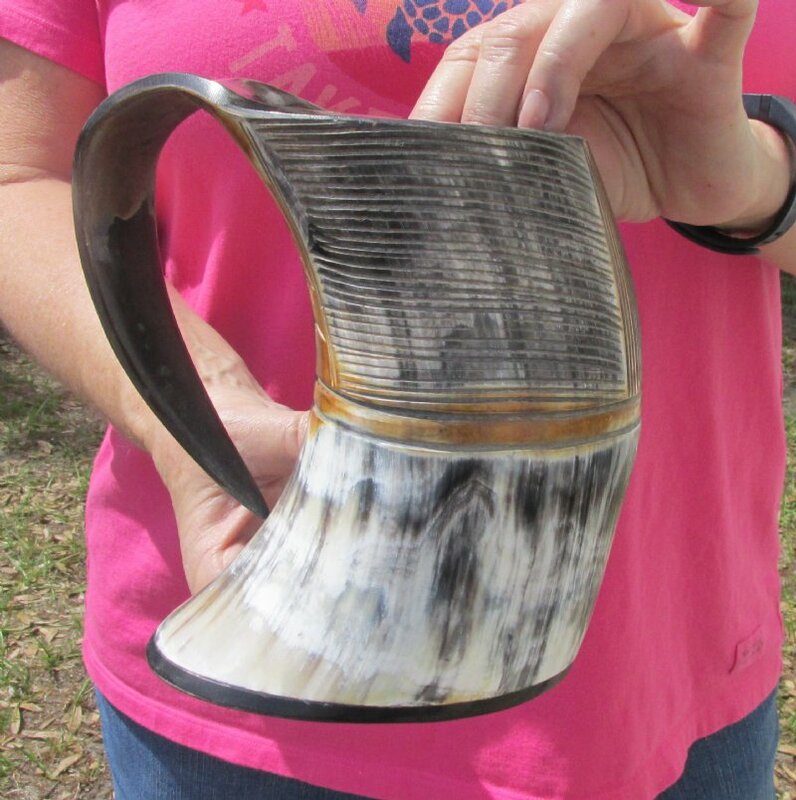 Buffalo horn mug half polished and half rustic carved measuring 6-1/2 tall. 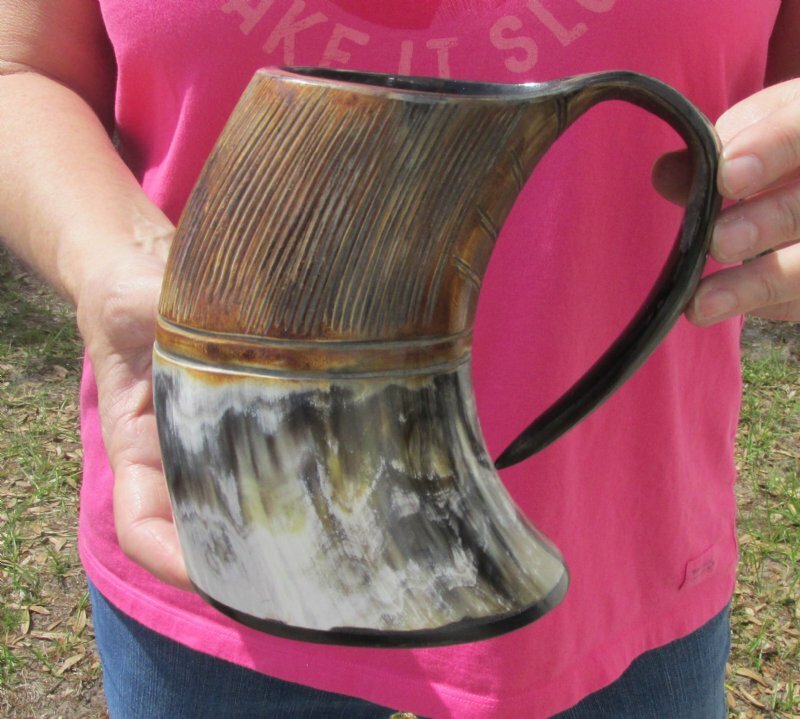 Natural Viking medieval buffalo horn mugs half polished and half rustic carved measuring approximately 6-1/2 inches tall, measured from the base of the mug to the top of the handle. 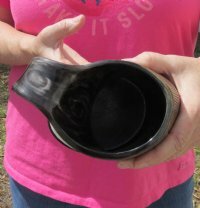 These natural buffalo horn mugs are half polished and half rustic carved and are made using traditional methods which make an excellent re-enactment piece. The exterior has been hand polished and includes a horn handle. These mugs make a beautiful display item and while they hold liquid, we do not recommend drinking from them. 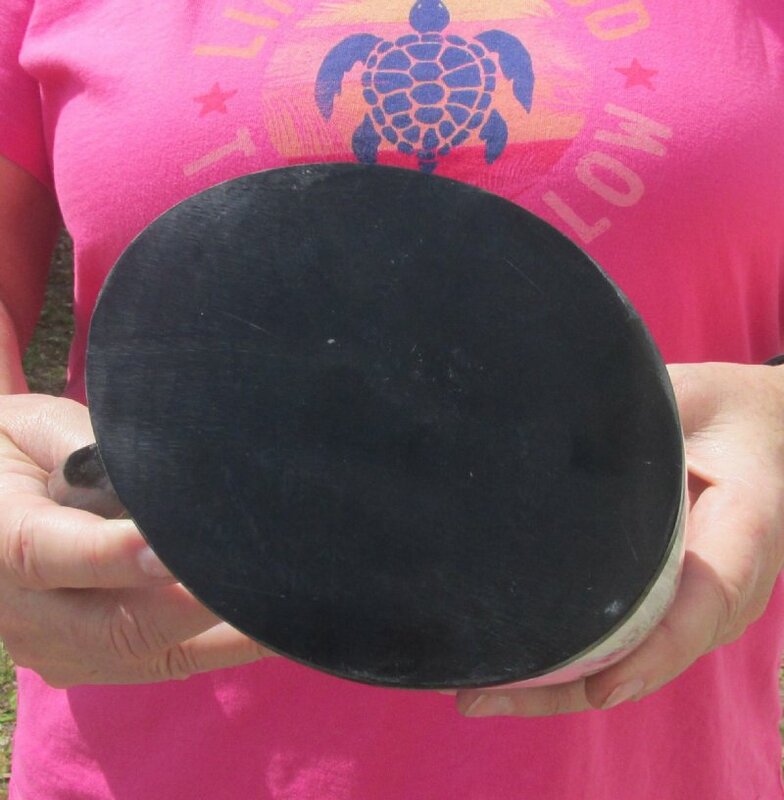 The item will have a slight odor and may have minor scratches due to buffing and the natural material used. The variations in shape and color can only be made by nature; thus a horn may have natural blemishes which will not affect its use, but does verify its authenticity. You are buying the half polished and half carved buffalo horn mug shown in the photo .